Staff and students discuss the impact of drugs on high schoolers. Despite years of research that has delved into the reasoning behind drug abuse, there has yet to be a definite explanation for why some individuals are more likely to use drugs than others. Some theorize that family history of substance abuse leaves some people predisposed to addiction. Some say those from low income families have easier access to drugs. However, one of the biggest factors in drug use is recreational use and peer pressure. Teens begin abusing drugs for a multitude of reasons. Boredom, depression, anxiety, childhood trauma and curiosity are all common denominators in the 10% of high schoolers who abuse drugs. Drug use can be seen as a “way out” of a difficult situation, or teens may feel peer pressure from the assumption that ‘everyone else is doing it.’ This mindset is dangerous because it only takes one night of drug abuse to lead to a lifetime of addiction. Kendra Callaway, who is the Prevention Program Director of Liberty Alliance for Youth, agrees. This is true even when considering ‘gateway drugs’ such as marijuana and edibles. It is a common belief among teens that marijuana is harmless and comes with no negative repercussions from use. This has been disproved for years, especially during the period the brain is still developing. Marijuana edibles, a method of baking the tetrahydrocannabinol (THC) into a snack such as brownies, can contain up to 30% THC. While this is not enough to cause long term physical harm to a human, it is enough to cause serious injury and even death in animals. Freshman Jillian Hough argues that marijuana can impact more than just IQ. Not all reasons for using drugs come from school. Home life can also be a contributor. Some modern parents are seeing marijuana as acceptable and are using it themselves. A few will even offer some to their kids. An estimated 2.1 million Americans abuse prescriptions non-medically. According to Calloway, up to an estimated 30% of these individuals are adolescents. These prescriptions include Adderall, Xanax, Valium and opioids. This statistic is increasingly disturbing to many when considering that, according to DrugFree.org, teens who abuse prescription drugs are twice as likely to use alcohol, five times more likely to use marijuana and 12 to 20 times more likely to use illegal street drugs such as heroin, ecstasy and cocaine than teens that don’t abuse prescriptions. These dangerous side-effects can include a drastic drop in blood pressure, slowed breathing, irregular heartbeat, seizures, insomnia, paranoia and even death. 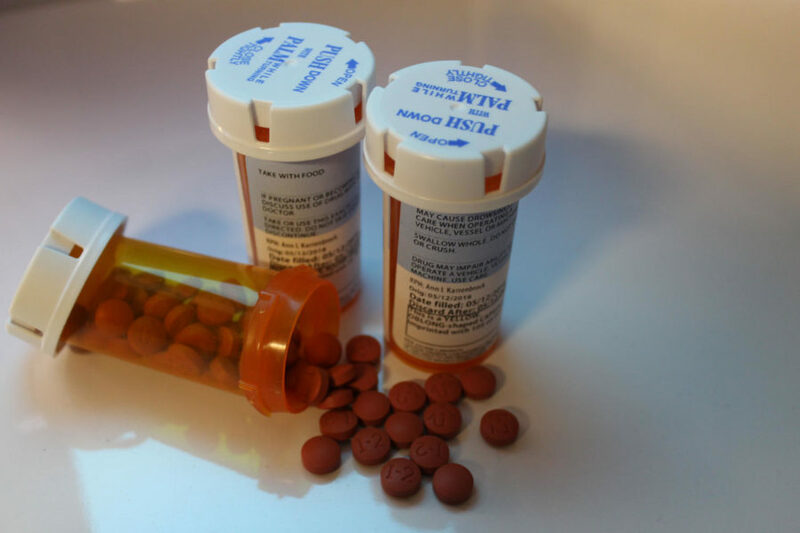 Although less common than recreational marijuana, prescription abuse is still a common method of achieving a high among teens due to its accessibility. One anonymous source described their struggle with the anxiety medication Xanax. Vaping is a trend that has swept the nation and has found a place in schools. In fact, according to News on Heart.org, The American Heart Association estimates an average of one in four teenagers vape regularly. Not only is vaping on school grounds a consequence of possible out-of-school suspension but it’s also just as dangerous to your lungs as cigarettes. Students have found different ways to sneak vaping in school. Students report seeing it in the bathroom and even in class, sneaking it in through their sleeves. Sophomore Samantha Seggerman feels vaping damages a school’s learning environment. Many believe that vaping is safer, but it still contains harmful and addictive elements to one’s lungs. Junior Nese Selepeo shared her perspective. Spotting addiction can be difficult but there are some telltale signs of addiction in a school setting that can be the difference between life and death. Practicing safe medication habits is the first step in stopping drug abuse in communities everywhere. This includes not sharing prescriptions, only taking the recommended dosage, consulting a doctor before taking any new medication and safely disposing of unused medication. Science teacher Maria Knowles shared her knowledge on safe medication use. There are some misconceptions about sharing medication. Sharing medication does not have to be intended for recreational use but is also harmful when someone shares their prescription to help someone experiencing similar symptoms. Prescriptions are intended for one person only, and in this case, sharing is not caring. Safe disposal is also very important when considering safe medication use. If a student thinks that a peer may be suffering from drug addiction, or want to get help for themselves, there are resources available in school. Use Sprigeo to help a friend, call the National Drug Abuse hotline at 1-877-969-2133 or see a counselor for help figuring out the next steps to recovery.